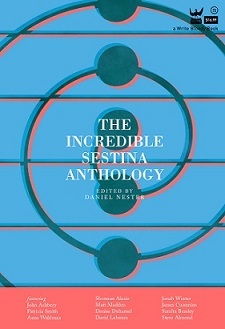 Paul Hoover’s “Sestina,” included in The Incredible Sestina Anthology, appears in Sonnet 56, a collection in which the poet composed different versions of a Shakespeare sonnet (“Sweet love, renew thy force, be it not said”). There are limerick and personal ad iterations, as well as a ballad and digressions. And, of course, a sestina. The author of over a dozen collections of poetry, including The Novel: A Poem (1991), Totem and Shadow: New & Selected Poems (1999), Winter (Mirror) (2002), and Edge and Fold (2006), Hoover has also published a collection of essays, Fables of Representation (2004), and a novel, Saigon, Illinois (1988), and and translations. Hoover is the editor of the Norton Anthology, Postmodern American Poetry and co-edits New American Writing. 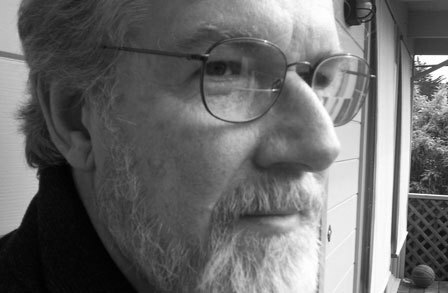 His awards include the PEN/USA Translation Award, the Jerome J. Shestack Prize, the Frederick Bock Award from Poetry, the Carl Sandberg Award, and a fellowship from the National Endowment for the Arts. A former professor at Columbia College Chicago and founder of the Columbia Poetry Review, Hoover currently teaches at San Francisco State University and lives in Mill Valley, California. Can you walk us through the composition of “Sestina”? Was it especially hard or easy, compared to the other constraints in the book? As soon as I came up with the concept of Sonnet 56, I made a list of forms & concepts I might follow. The sestina and the villanelle went onto the list early, but the actual composition of both came later in the process. I’m especially proud of the ending line of the sestina: “As with poetry, also with love: the size of the appetite.” The most challenging of the forms were “Crossword Puzzle” and “Epic.” One of the quickest to write was “Course Description,” because I’ve written so many of them. I believe the first sestina I read was Dante’s “Great Canzone,” which has lines like “I would gladly crop grass for my meal, just to be in your shadow.” I know of translations of the poem by James Schuyler and Kenneth Rexroth, of which the Rexroth is better, even though I prefer Schuyler’s own poetry to Rexroth’s. Dante captured the dreamy seriousness of which the sestina is capable. It deals with essential figures like love, shadow, and grass, which can tolerate the repetition presented by the form. Have you written other sestinas, before this one or since? I’ve written only a couple of sestinas, the one in Sonnet 56, and the title poem of Idea (The Figures, 1987). It begins, “If writing is lying, nothing is true, / and pressure is on the mind, not eye, / as if in a single sentence a thousand / phenomenal objects fled a single thought. / “I can’t spell and I hate this job–lying down / with swans, which has a dangerous charm.” The poem has a mistake in the rotation of end-words in the third stanza, which put everything out of kilter. I didn’t realize my own error until David Lehman complimented me on a clever move. I’ve always loved reading sestinas and also assigning them as exercises in beginning undergraduate workshops. The form teaches the students a lot about strategy and tone. It also teaches something about the contingency of form. Dante’s canzone is beautiful, mysterious, and deep, and Ashbery’s Popeye sestina mentioned below is of course hilarious. You’re the editor of Postmodern American Poetry, the second edition of which came out this year. There is a sestina included in the book as well, Ashbery’s “Farm Implements and Rutabagas in a Landscape.” I am wondering if you have any thoughts on the sestina as a postmodern form, or perhaps a form welcoming, or not welcoming, to those who write in the postmodern or post-postmodern era. I’ve already mentioned the gratuitousness of poetic form. I was not convinced by John Frederick Nims, my professor in grad school in Chicago, that there is a “natural” poetic form, such as the heartbeat of iambic measure. Poetic form is like a riddle to be solved or game to be played between author and reader. We use words like “golden” and “silvery” to describe its cadences. It’s the mechanical golden bird of Yeats’ great poem, “Lapis Lazuli,” designed to keep a drowsy emperor awake. The mechanism of the sestina comes as an acknowledgment that, after all, it could have been otherwise. All this is consistent with postmodern chivalry. To María Baranda of Mexico City. This entry was posted in Behind the Sestina and tagged James Schuyler, John Frederick Nims, Kenneth Rexroth, Paul Hoover, Postmodern American Poetry, San Francisco State University, Sestina. Bookmark the permalink.